ARES Design has revealed the first images and details of their up and coming supercar, codenamed Project Panther. 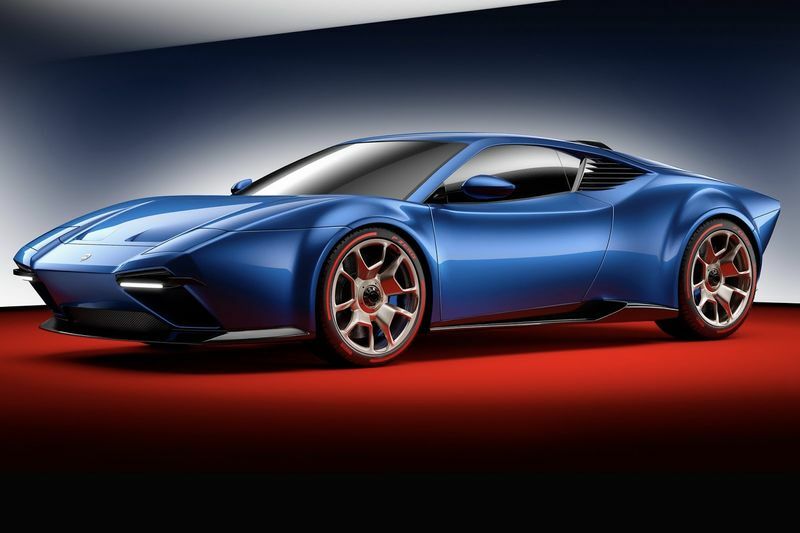 The Italian coachbuilder is the brainchild of Dany Bahar, the Swiss businessman best known for his controversial time as chief executive of Lotus. With Project Panther, the company want to create a modern interpretation of the De Tomaso Pantera. Powering the supercar is the same 5.2-litre V10 engine, seven-speed dual-clutch transmission, and all-wheel-drive system as the Lamborghini Huracan, expected to deliver the same 602 horsepower. Additionally, Project Panther uses the same aluminium and carbon fibre chassis as the Huracan, and promises to be every bit as fast. The car's underpinnings may all be Lamborghini butthe exterior is something unique and, to our eyes, absolutely gorgeous. The perfectly combined retro design elements with a modern flair make Project Panther standout, with LED daytime running lights, pop-up headlights, a small front grille and a low engine cover clad in carbon fibre. Discussing the car, Dany Bahar said it will be built at the company’s new manufacturing facility in Modena. "We started ARES three years ago with unprecedented demand to work on the personalisation of clients’ cars, and have satisfied well over 200 customers with unique interiors, exterior design elements, bodywork engineering and performance upgrades. Our new Modena facility allows us to move above and beyond this normal personalisation service, bringing together new design and engineering technologies, teams of skilled craftsmen, and passionate experts who have joined us from local supercar businesses." ARES Design claims that the car is currently undergoing design, aerodynamic, and crash-test engineering assessment before reaching the hands of customers in the second half of 2018. Pricing details have yet to be announced. Video: Lamborghini Unveiled The Huracan With Improved Aerodynamics! Video: Lamborghini Huracan Crashes At The South African Festival Of Motoring! The Mercedes-amg Project Formula 1 Powered Hypercar Teased Ahead Of Debut!